Authors report their experience with surgical treatment of descending thoracic aortic aneurysms using femoro-femoral by-pass for spinal protection. 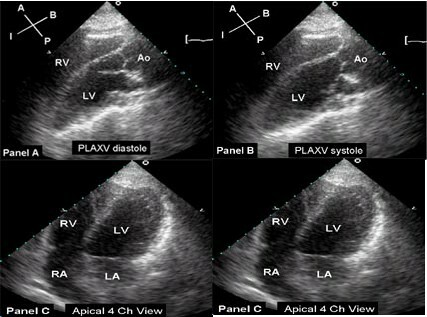 Between June 1976 and December 2001, 650 patients with thoracic aortic aneurysm were seen and in 170 of them the descending thoracic aorta was involved. Surgery was needed in 73 patients, among whom 34 had fusiform chronic aneurysm of thoracic aorta, with involvement of proximal abdominal aorta in 12 cases, and 27 had type B aortic dissection. Emergency surgical treatment was needed in 38 patients. Resection of the diseased aorta was performed in 71 patients, patch repair of the intimal tear in 2. Spinal protection was achieved with femoro-femoral by-pass in all cases. Nineteen cases (26.02%) of post-operative death were observed. There were four cases of lower limbs motor deficit reported, two in thoraco-abdominal aortic aneurysms, and two in patients with type B aortic dissection. Clinical experience shows that veno-arterial by-pass achieves low incidence of post-operative paraplegia. 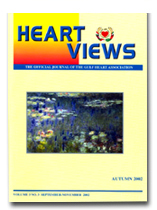 In a retrospective study of 787 consecutive patients after first-time isolated coronary bypass grafting by a single surgeon up to 16 years, the risk ratios of arterial grafting and sequential saphenous vein (SV) grafting on overall mortality, mortality related to cardiac disease, and adverse cardiac events were quantified by univariate and multivariate analyses corrected for the influence of preoperative characteristics. Arterial grafting was an incremental risk factor in the first 5 years, but decremental risk factor in the later 11 years. 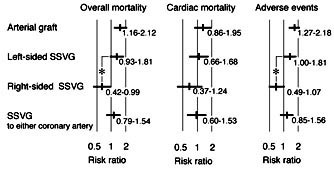 The risk ratio of sequential SV graft to the left coronary artery on overall mortality (1.30, 95 % CI, 0.93-1.81) was significantly higher than that to the right coronary artery (0.64, 95 % CI, 0.42-0.99). The outcome of arterial grafting significantly improved over time, but outcome of sequential SV grafting to the right coronary artery did not. Surgical volume did not influence the outcome. Most people who die suddenly from cardiac disease are elderly and develop symptoms prior to the fatal event. This review deals with apparently fit and healthy young adults who die suddenly and unexpectedly. The underlying cardiac causes are discussed. Many of the causes of sudden unexpected death discussed in this article do not cause abnormal physical findings and the subjects may be asymptomatic. Screening asymptomatic young adults for potential causes of sudden death remains controversial. Screening should pay particular attention to the subject's family history, particularly if there are any relatives who have experienced sudden unexpected death. 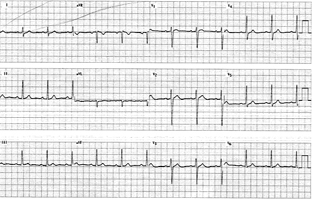 A resting ECG can reasonably be expected to be a cost effective screening tool but routine echocardiography for individuals with no symptoms and no physical findings is not recommended. Understanding the molecular basis for cardiac repolarisation will give better insight into the underlying mechanisms of arrhythmias. There has been progress in this direction in recent years and hopefully new therapies will be discovered.